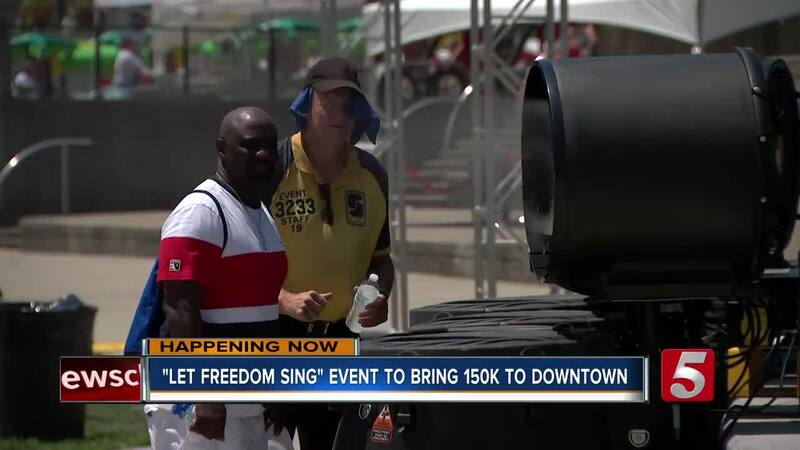 It was one of the hottest Independence Days on the record in Nashville, but that didn't stop the crowds from celebrating. The heat index in much of the region hit triple digits. Wednesday was the third hottest 4th of July on record in Nashville. 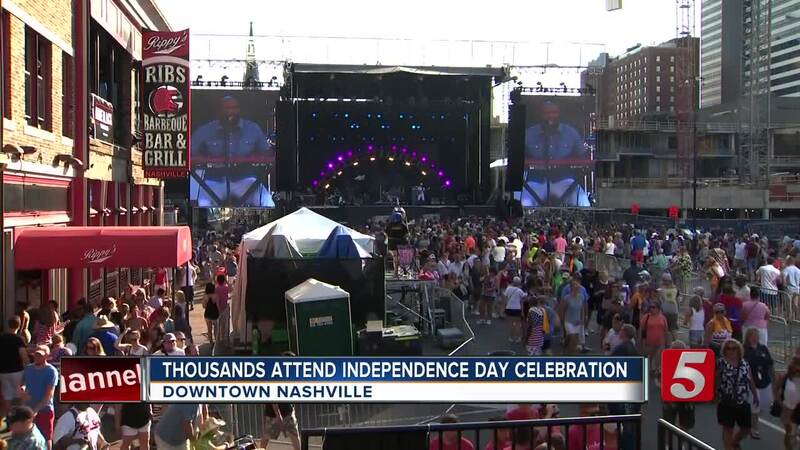 More than 200,000 celebrated in downtown Nashville with concerts, games and of course fireworks. For the first time, everyone was forced to walk through metal detectors as a safety precaution and several restricted items like backpacks and coolers were not allowed. Precautions were also taken for the extreme heat including several misting fan stations. Bottled water was available at four locations. First aid tents were set up in several locations in case people need them. The fireworks show began at 9: 30 p.m. More than 60,000 shells, mines and comets will make up the show which is deemed one of the largest in the country. Police confirmed they arrested 11 people during the Let Freedom Sing event. Various charges were involved, including public intoxication, disorderly conduct, resisting arrest, and obstructing a passageway.